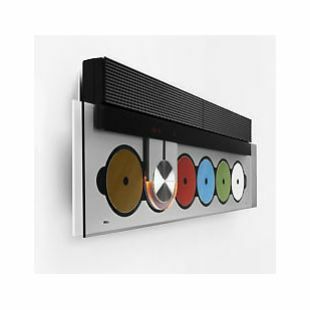 BeoSound 9000 Mk I II & III working with PC 2, BeoPort or BeoMedia 1 is another hot topic which needs to be cleared up. So, here is the information you need! Like many Audio Visual 'urban myths' (such as Plasma Screens needing re-gassing after 5 years), earlier versions of the BeoSound 9000's ability to work with N.MUSIC has made everybody somewhat confused after many 'yes it can', 'no it can't', 'my dealer told me' statements and contradictions. It's not that anybody is deliberately giving out incorrect information, but more that those who have access to the definitive information don't always read it for themselves, they simply repeat what they've heard - resulting in the start of an urban myth. compatible and therefore no need for any upgrades. Now, for the commands on your Beo4. From software 4.2, N.MUSIC was available via the list key (you need to add it first, see Beo 4 user guide for details - available as a download from BeoWorld if you do not have one). If you find that N.MUSIC, N.RADIO are not available to add to your list key all is not lost, selecting A.TAPE 2 will activate N.MUSIC and PHONO will give you N.RADIO.